Steamboat Springs snowboarder Maggie Rose Carrigan flies toward the bottom of Howelsen Hill on Sunday during the Race to the Cup parallel slalom race in Steamboat. Carrigan finished second in the event. The Race to the Cup was the event of the day, but for a handful of young Steamboat Springs alpine snowboarders it’s a race to the rings that has dominated their thoughts. Competitions Saturday and Sunday brought top competition to Howelsen Hill in downtown Steamboat, and as soon as it was over, some of the best from those races were ready to hit the road and catch flights to Italy, where they’ll begin competition for the season on the World Cup circuit. If that goes as well as they are hoping it might, an even bigger trip could await in February, to South Korea for the 2018 Winter Olympics. Steamboat’s long been a training hotbed for alpine snowboarding, with many of the nation’s and some of the world’s best setting up in the city to train with Steamboat Springs Winter Sports Club coach Thedo Remmelink. Five U.S. men competed at least once on the alpine snowboard World Cup last year and all of that group — led by Michael Trapp, A.J. 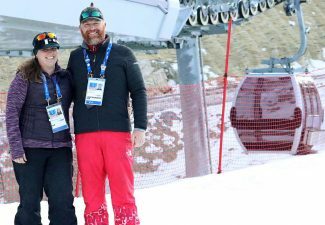 Muss and Robby Burns — have trained extensively with the Winter Sports Club and will be gunning for the Olympics this year. Others, like Sunday’s Race to the Cup winner, Christian de Oliveira, a Steamboat-trained Australian riding for the Portuguese, are hoping to make the Olympic team for other nations. 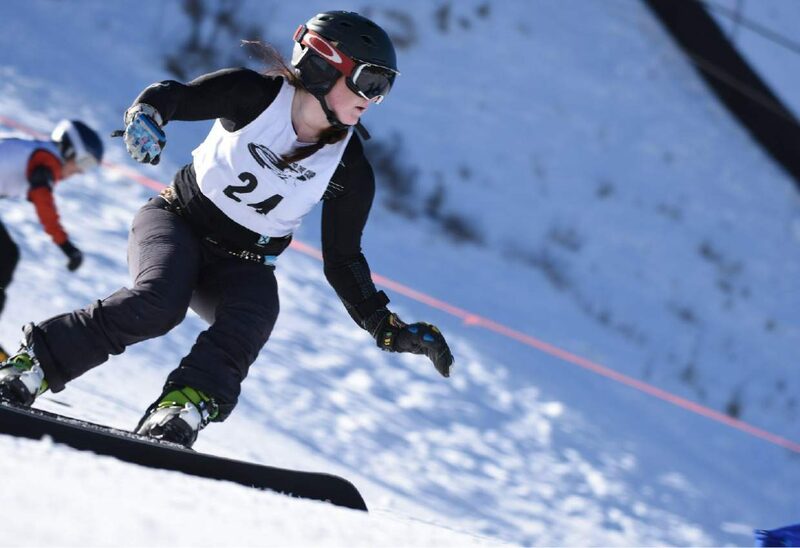 The top-ranked U.S. woman, too, is pure Steamboat — Maggie Rose Carrigan, a 2015 graduate of Steamboat Springs High School, who’s only this season planning on hitting the World Cup full time. She’s opted not to take on the full schedule in the past as she wrapped up work in high school, then started seeking her college degree online from Colorado Mountain College. She’s spent her time in the off-season working at the Holy Name Catholic Church preschool. This year, however, is different, the opportunity for the Olympics too big to ignore. She’s taken time off from school and work to focus on her snowboarding. She’s not necessarily worried about her potential results if she were to get in. It’d be a trip to prepare for the next trip, the 21-year old said, considering the 2026 Winter Olympics in Beijing her truest chance to climb the podium. But, it’s a trip she’s intent on taking nonetheless. She has some serious work to do if that’s going to happen, and she started with it this weekend in Steamboat at the Race to the Cup event. 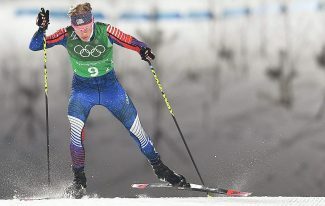 She placed third Saturday in parallel giant slalom — the only discipline that will actually be contested at this year’s Olympics, much to the disappointment of riders — then was second Sunday in parallel slalom, only faltering two-thirds of the way down the course on her final run of the day. Canada’s Jennifer Hawkrigg won Sunday while Millie Bongiorno, an Australian rider training in Steamboat, took the honors Saturday. 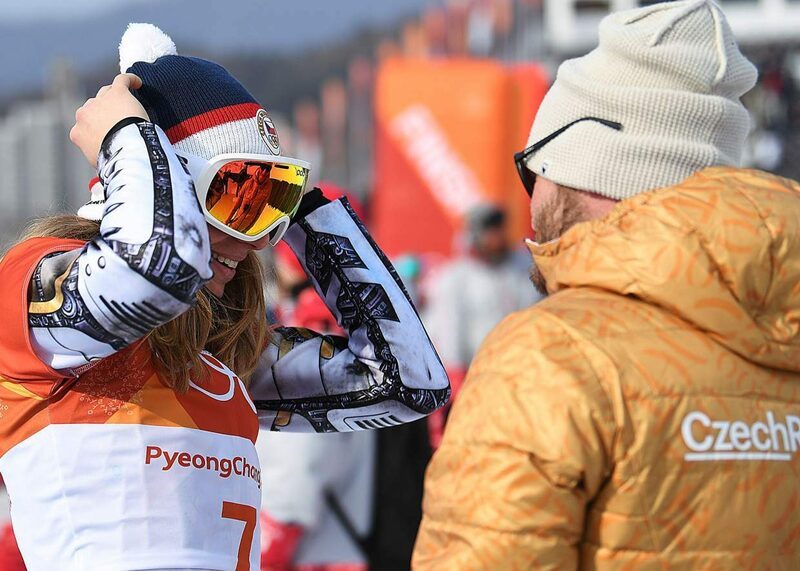 That was just a warmup, and she planned to leave Monday for Carezza, Italy and the first alpine snowboard World Cup of the season. Just who she’s competing against is complicated. 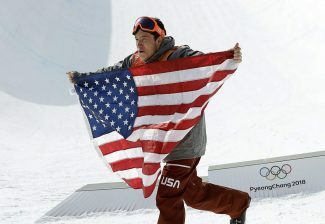 There are two other American women in the equation for the Olympics, Abby Champagne and Lynn Ott. From that group, it was Carrigan that got the nod to compete last winter at the World Championships, but the Olympics is a different beast. Each nation can bring four athletes per gender per event, but only a maximum of 26 snowboard athletes, and that counts across all disciplines. There are five disciplines: halfpipe, slopestyle, Big Air, snowboard cross and alpine. So the math doesn’t allow eight U.S. men and women in each event. At some point in January, someone will have to decide whether or not a rider like Carrigan is worth a spot ahead of, say, an extra halfpipe snowboarder, or another slopestyle rider. 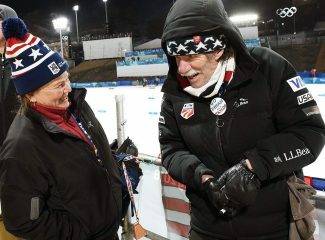 It’s unclear just how many spots on the team U.S. Olympic officials will allocate to alpine snowboarders, but no one’s banking on more than one per gender. And, before anyone worries about their standing against the slopestyle or Big Air team, they’ll need to meet the basic requirements set by the Olympics themselves: a top-30 finish in a World Cup and 100 accumulated FIS points. The U.S. sent just one alpine rider to the 2014 Olympics, Steamboat’s Justin Reiter, but a major factor in that was a lack of qualified contenders, and that’s what Steamboat riders like de Oliveira, for Portugal, and Bongiorno, for Australia, will be most focused on. The most basic requirements are within Carrigan’s grasp. She’s only raced in five World Cups previously and she’s placed as high as 35th. The requirements to make the U.S. team, to get a spot ahead of an athlete in another discipline, will likely be more demanding, however. A podium finish would definitely be enough, but if that doesn’t happen Carrigan expects she’ll need at least one top-20 result. She’ll have five races to make that happen, starting Thursday with that race in Carezza. There’s another a day later in Cortina d’Ampezzo, Italy, a third next month in Lackenhof, Austria and finally two Jan. 20 and 21 in Rogla, Slovakia.